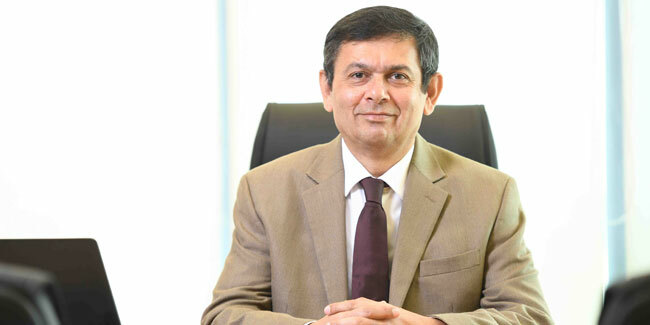 Kshitish Nadgauda, Senior Vice President and Managing Director for Asia, Louis Berger shares his views about the transport segment projects, smart cities development, role in Mangaluru Smart City and Kandla Smart Industrial Port City project. Louis Berger is quite active in the transportation segment. You are already associated with major highway/expressway projects, Mumbai Metro Line 1, Mumbai Monorail, Navi Mumbai Metro, Hyderabad Metro, Navi Mumbai International Airport and Mopa Airport in Goa. Could you share insights about your participation in the transport segment projects and especially about your role in the Mumbai Metro Line III and IV projects? Louis Berger, founded in 1953, in the United States, has its roots in the transportation sector. The company has been involved in a large number of transportation infrastructure development projects across the world, including in India. We have over 20 years of experience working in diverse sectors including highways and roads, bridges and tunnels, rail and transit, aviation and Smart Cities. In India, our participation in the transportation sector commenced with the government’s highway expansion program, followed by projects in the aviation and metro rail sector. We have provided a wide range of services on several major infrastructure projects, from conducting initial feasibility studies, to executing the design as well as project and construction management. We are playing a key role as part of the general consultancy consortia on both the Mumbai Metro Line 3 and the Mumbai Metro Line 4 projects. We are reviewing the EPC design, and providing project and construction management services on both the projects. Additionally, we are part of the general consultancy consortium for both the Bhopal Metro and the Indore Metro projects, providing similar services. We have heard a lot about Smart Cities development. How it will change the way we live. Could you comment on the ground situation across the country and your active role in Mangaluru Smart City and Kandla Smart Industrial Port City project? The Smart City projects are intended to significantly improve the quality of life for citizens. The projects include significant upgrades to the transportation and utility infrastructure, as well as establishing an efficient and effective digital platform for citizen services. Depending on the city, the development of tourism and specific industries is part of the mandate. Historical and cultural restoration and preservation are often also part of Smart City programs. In some cities, such as Kandla Port, the work entails setting up greenfield areas for development, where world-class infrastructure will be established against a suitable master plan for the area. Such greenfield developments with the proper master planned areas are essential to creating new centers of growth, thereby decongesting existing population centers. The Smart City program and the development of Greenfield master-planned areas are essential components for the nation’s economic growth. The Government of India has laid special emphasis on strengthening Regional Connectivity Scheme “UDAN” and thereby making flying a reality for the small town common man. Could you share your views about the efforts made by the Government and Success achieved so far? The government has been successful in strengthening the aviation sector by setting up world-class airports in first and second-tier cities. The concurrent growth of the private-sector airlines has also made flying the preferred option for business travellers and for cargo, thus acting as a catalyst for economic development and growth. There has also been a considerable increase in personal trips by air. We also believe that extending air connectivity to additional cities would spur economic activity in local centres, working together with enhanced road and rail connectivity. The net combined effect would be one of decentralization across the country, with immense environmental and social benefits. Could you enlighten our readers about your role in the Navi Mumbai International Airport and Mopa Airport project? What's the latest update on both the projects? On both the projects, Louis Berger conducted the techno-economic feasibility study, master plan, concept design, transaction advisory services, and tender documents for implementation. We also worked with the respective clients throughout the tendering, and the contract award phases. Both these projects are being implemented on the public-private partnership (PPP) basis and have been awarded to respective concessionaires following a competitive bidding process. The Government of India has launched the Bharatmala programme that aims to provide NH linkage to 550 districts and is touted be a major driver for economic growth in the country. What kind of opportunities do you see for your company in the road and highways segment? The government’s much-needed Bharatmala program is intended to bring safe and efficient road connectivity not just to major population centers, but also to less-developed centers in the interior of the country. This undoubtedly will spur economic development and growth in all parts of the country, keeping jobs “at home” and reducing migration to already strained population centers. The sheer scale and magnitude of the Bharatmala program present significant opportunities for us to actively participate in India’s road and highway expansion, and improvement program. Louis Berger will be keen to work on both the design as well as the construction management of the access-controlled expressway network that is an integral part of the program. With our international experience and expertise in this field, we will ensure that the expressways that we design and develop are safe, while providing the highest mobility. Additionally, we are looking for opportunities in the highway operations and maintenance sector, given our considerable experience in this field in other countries. 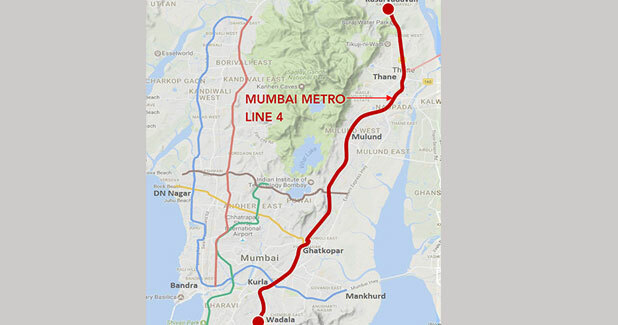 Louis Berger as part of a DB-led consortium was recently awarded a project management and construction management services contract, including design review, for Mumbai Metro Line 4 by the Mumbai Metropolitan Region Development Authority (MMRDA). The consortium comprises DB Engineering, Louis Berger and Hill International.